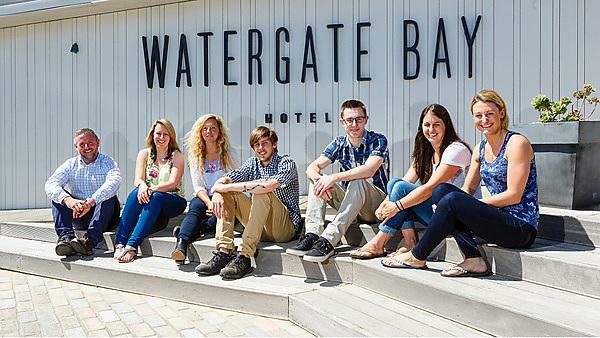 Since graduating I have started a new job as HR Manager at Watergate Bay Hotel, which for me is part of achieving my long term career goal. I think having received my degree from Plymouth University does influence potential employers’ decisions when shortlisting for a role. I think it demonstrates a commitment to your profession. Having worked in HR for nine years, most of my experience is within the manufacturing sector. As manufacturing is an industry that is reactive and ever changing, I have been exposed to a number of situations and processes – one of which was specifically restructuring. This is a difficult process to go through due to the nature of redundancies and the uncertainty it brings. Not only are you dealing with the process as an HR practitioner but you are also responsible for maintaining the remaining staff’s morale levels. My passion definitely lies in activities around making a workplace a happy and healthy one. We are all tied to payroll budgets, so I enjoy looking at creative ways we can engage employees that doesn’t have a massive cost. In my previous role I gained a number of awards for the healthy workplace activities that were implemented by the local council as well as by the largest customer of the organisation. HR for me is about learning: learning from what went well and then probably the most important thing is from what didn’t go so well and what I could do better next time. It’s about continuous improvement and development. Generalist HR is great; every day is different so it provides a variety of experiences, challenges, and opportunities. It’s also a very rewarding job. For me, Plymouth University was an ideal place to study whilst still working full-time. It provided an opportunity to build a support network of HR professionals that live and work in the South West. The lecturers are excellent. Not only do they deliver the information and content you need but it was always in a relevant, practical way. Plymouth ensured that I started to think about the bigger picture; about strategy – not only HR strategy but also business strategy – and also about ways to gain top level buy-in and commitment to achieve the overall business goals. I think generally how the class came together, supporting each other through the more tricky tasks and assignments. When it came to group presentations the whole class knew how nerve-wracking presenting to an audience (as well as to a camera) was, so were therefore very supportive and understanding. Yes, it’s a great local university with a fantastic team spirit. The lecturers are encouraging and do everything they can to get the best out of you. For more information about studying human resources please visit our MA Human Resource Management page. For more information about our range of courses within the Plymouth Business School, please visit the school page.